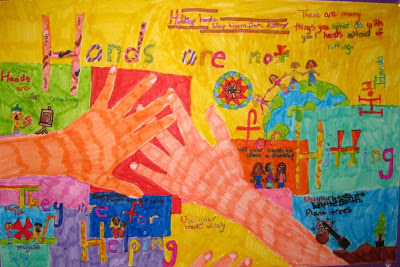 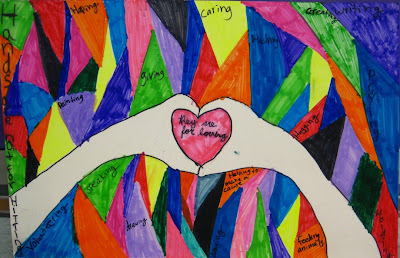 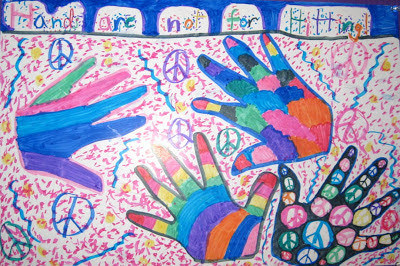 At Ridgeway Community School, we used two art classes to work on posters for the Hands are Not for Hitting Poster Contest. 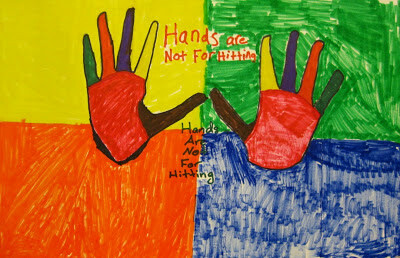 My fourth and fifth grade students were very excited be participate. 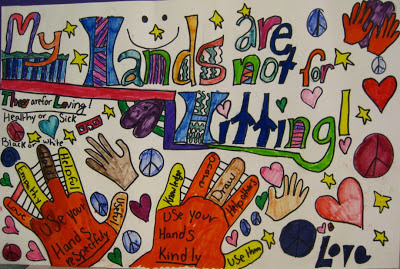 We had a discussion about how hands could be used in positive ways. Here are some ideas that the children came up with. 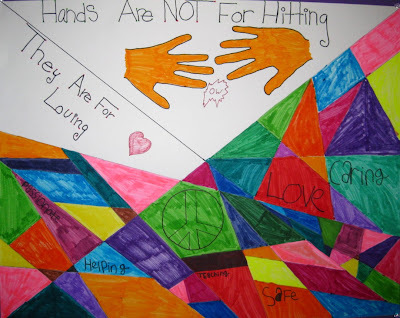 The care and thoughtfulness of these posters give me hope for the future. Jayla won the prize for most colorful poster! 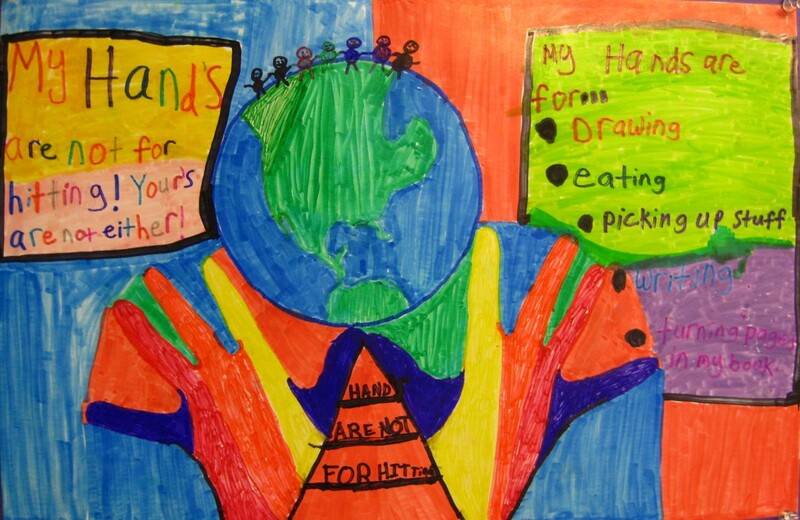 Congratulations, Jayla. 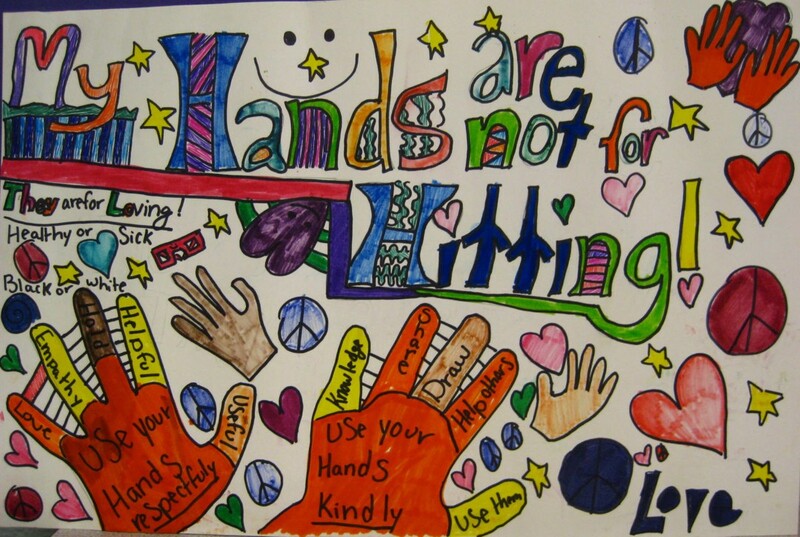 The Winona County Child Abuse and Neglect Prevention Council put on the" Hands are not for Hitting" poster and art media contest for students in grades three through twelve. 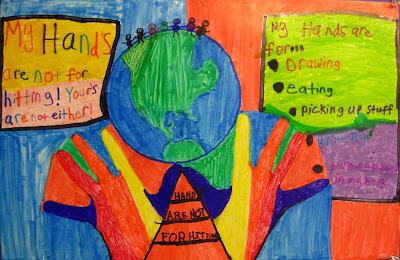 Mary Lee Eischen teaches art to children Kindergarten through Grade Five at Ridgeway Community School, a small Charter Public School located 10 miles South of Winona, Minnesota. 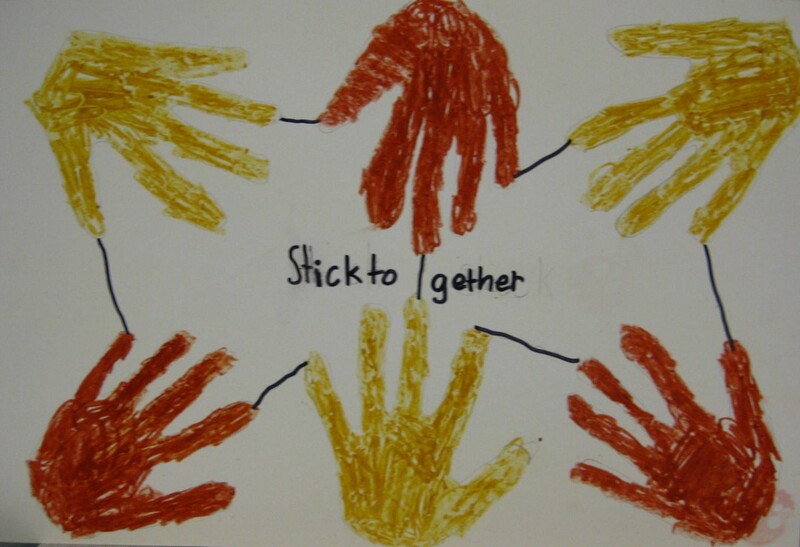 The children who attend our school are from Winona, La Crescent, Pickwick, Rushford, Houston, Nodine, and other areas surrounding Ridgeway, Minnesota.